Recently, LewRockwell.com re-published two of such articles. The first was entitles “Free Immigration is Forced Integration” and the second “Immigration and Libertarianism”. Let us start with the first, “Free Immigration is Forced Integration”. In the second part of the article, he then goes on to say that trying to criticise open borders by pointing out negative effects of the welfare state is also not persuasive. These are problems of the welfare state and not of open borders in and of itself. I think this is correct. If the welfare state or for that matter any other state policy leads to negative effects of freeing up markets, then libertarians should attack these policies and not the freeing up of markets. So far, Hoppe seems to make the case in favour of open borders. One thing that is important to note until this point is, how he uses the word ‘free’. The word ‘free’ is used in the libertarian sense of “free from constrains”. Now, from the third part of the article, Hoppe starts making the libertarian case against free immigration. His argument is that in an anarcho-capitalist society, everything worth owning is already owned. Therefore, there cannot be freedom of immigration. So the property prevents the freedom. Wait a minute, what? Why is property in contradiction with freedom? This is a strange argument coming from the founder of The Property and Freedom Society. But maybe they serve free alcohol there? But seriously, isn’t the whole point of libertarianism that property and liberty are closely linked with each other? How can Hoppe make the argument that since we have property, there cannot be freedom. That sounds very confused to me. It should be clear that Hoppe at this point has started to use the word freedom in a non libertarian way, as in ‘free of charge’. He argues that we have property, therefore immigration cannot be free of costs. In this sense of the word however, libertarianism is also in contradiction with free markets. A free market would be a market in which everyone can help themselves to everything they like, free of charge. That clearly is not libertarian. That is more a socialist way of using the word freedom. Libertarians explicitly stress that their idea of freedom is to be free from proactive impositions from others. Even more remarkable is that Hoppe just a few sentences earlier has used the word in exactly this libertarian meaning. And now he just changes the meaning of “free” without even telling the reader about it. One wonders why? Is he not smart enough to realise that he is using the word with the different meaning, or is he speculating that his audience won’t be? I don’t know the answer, but I know that at least one of the two needs to be true. This is a really odd argument in many ways. To start with, he seems to contradict himself. In part two of the article, he argued that trying to argue against immigration with the welfare state would not be convincing, as this is a problem of the welfare state, which will have to go. But now he is applying the logic that he himself rejected earlier, to do just that. If immigration leads to problems with other state policies than libertarians need to argue against these policies instead of making themselves advocates of more statism. But his argument is also not economically correct. Yes, the state is distorting the economy. But it is hard to tell what the exact market result would have been. How does Hoppe know, that we now have more streets then we would otherwise have? If we could figure that out without the market, then we would have a pretty good argument in favour of central planning. Maybe the opposite is the case. Maybe now, we have less roads than we would otherwise have. In that case the same argument would lead to the opposite conclusion of forced exclusion. As a scholar of Austrian economics, he should know that? Next he argues that in today’s world the government and not the market is fully in charge of admitting people. That however, seems simply wrong. Behind the state borders, especially domestic property is still mostly owned privately. So despite the fact that we have state borders, the control over who comes into the country is still to a large degree in the hands of the market of that country. Without anyone renting out or selling a property to the immigrant, the immigrant still has a problem. But there does not seem to be a shortage of people doing that and I cannot see why there would be a shortage without border controls. Quite to the contrary, with the freeing up of markets it is reasonable to assume that accommodation could become cheaper as productivity increases. 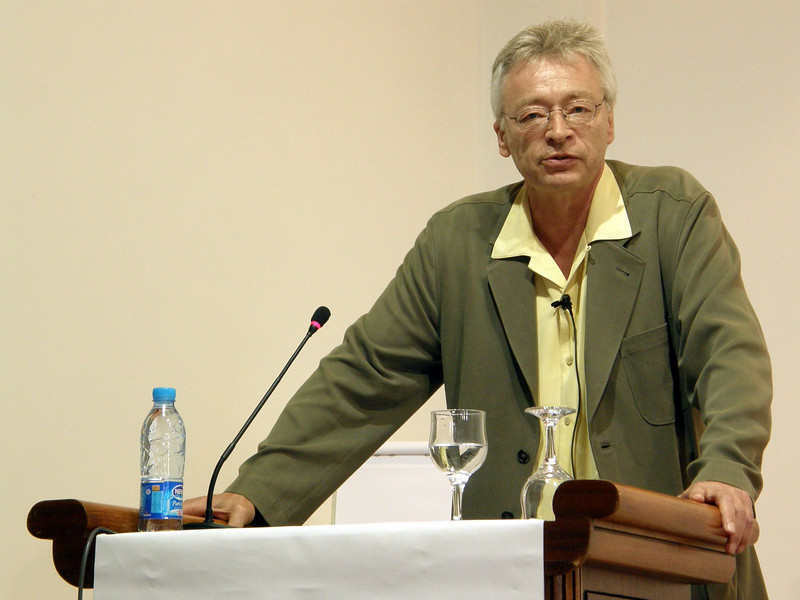 Hoppe however argues that immigration controls lead to forced integration and forced exclusion. I can see how immigration controls are forceful exclusions. If a property owner on the inside of the fence would like to invite someone, the government can prevent this. That is why it is not libertarian. I find it harder to see a case of forceful integration. If the government lets someone through the state border, the people inside the fence can still say no to the person. And if everyone does, then the person would have simply nowhere to go, even in today’s worlds. In order for this to be forced integration, it would need to be the case that someone is invited by the government and the government gives that person an accommodation. This does not seem to happen very often. If it does however, it is indeed not libertarian. But then again, instead of establishing general border controls and a visa system, the way to deal with that would be to abolish these state programs too. In fact, in this case, border controls and visas are clearly of no importance, as this obviously happens with or without these policies in place as well. So Hoppe is simply wrong if he concludes that it is the immigration controls itself that lead to forced integration. Up to this point in the articles Hoppe has failed completely to establish an argument in favour of libertarian state border controls. However, in the remaining three parts, his arguments actually get a lot worse. While up until now, he at least tried to make it look like he was making a consistent argument, he completely loses this in what is coming. It is a mixture of wild speculation and false conclusions that is not concerned with principles or consistencies. Let us have a look at it. Just like in the case of the word ‘free’, Hoppe has probably confused himself with words. He calls both property and therefore it becomes the same thing. He does not seem to realise that a King owning a country has absolutely nothing to do with property as being advocated by liberty loving libertarians. But to be fair, a lot of libertarians do not understand the link between liberty and property. They therefore cannot distinguish between liberty maximising and non liberty maximising property. They simply think liberty is property. And Hoppe’s argument is probably a result of that confusion. He continues this strange argument into part six, where he approximates a democratic government as the owner of the country. But since this owner is not a single person anymore, but a changing committee, it will produce very different immigration rules than a king, so he argues. Fair enough, but what does that have to do with libertarianism? The state simply should go out of the way. The problems of immigration that Hoppe correctly or incorrectly describes in this part are not problems coming from open borders, but from other state policies. And as he himself argued in part two, that is not a good argument against open borders. Finally, in part seven, he comes to a conclusion. This is not a logical conclusion. His argumentation so far was all over the place. He uses words in different meanings as it suits him in every given sentence. He wildly speculates about results of all kinds of systems and presents the conclusions of his speculation as market results if he likes them. And he simply is not very bothered with contradicting himself. In one word, his argumentation is a big mess. And so he concludes not what has followed, but what he wanted to conclude all along; that as long as the state exists (and to his credit, he stresses that the state will have to go), libertarians need to support certain state immigration policies, those, which Hoppe thinks are close to market results. This is nonsense and I cannot see that he has even come close so far to an argument that would justify such a conclusion on libertarian principles. A similar mess is the argumentation in the second article, “Immigration and Libertariansm”. Here he repeats a lot of the arguments that we have already seen. However, he makes some new ones. But first he start by attacking “left-libertarians”. He suggests that those are not real libertarians. I can see some people who might be called left libertarians that really are not, like Noam Chomsky. However, Hoppe never explains who exactly he means by that. But from the article, it seems that if you believe that the state should get out of the way of immigration unconditionally, then you are a left libertarian as opposed to just a libertarian. A silly attempt of an ad hominem attack. His new arguments are first, that one could see the state as a trustee of all its citizens (he seems obsessed with constructing arguments that present the government as legitimate property owners. He never talks about liberty, property is clearly all he knows). On the basis of this argument he then goes on to outline what he thinks a sensible immigration policy would be. By that he means, what he would like to see. It is not at all clear why his proposals have to be the results of a trustee. At one point he actually not only concludes that immigration is bad for the welfare state, but that “a financial crisis of unparalleled magnitude would result”. This is really beneath Hoppe. There is not a shred of evidence that immigration is causing economic problems. If it did, it would be an argument against free markets in general. And as we have seen above, Hoppe knows this very well.